How To Build A Motorized Monitor Lift For Your Desk On a Budget! DIY, when you hear this word, what would be the first thing that came to your mind? Its sound something amazing that could be built easily in a budget and the best thing is “AT HOME”. So DIY is such kind of projects or stuff that will be helpful and created by yourself, without spending lots of penny on it and it doesn’t make a hole in your pocket. Today we’re going to share something related to DIY. Do you want to live and experience just like a futuristic home? Why not? Have you ever think that you can transform your Computer Desk into an amazing mechanism lift that will save lots of space and looks amazing and futuristic and that makes everyone say WOW!! 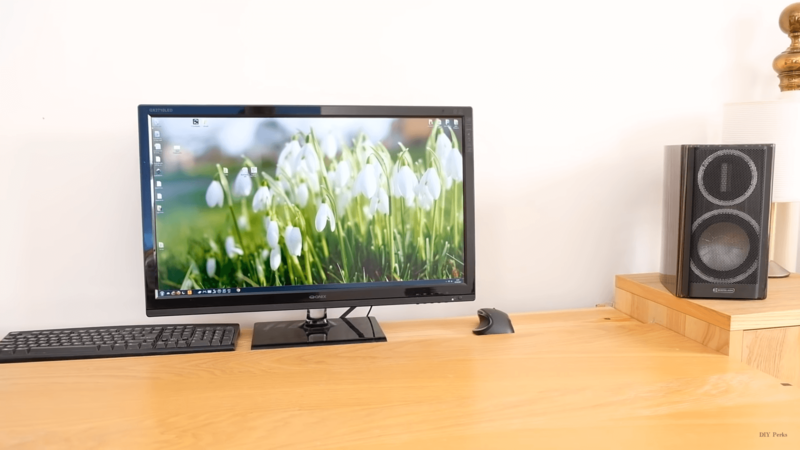 Yeah, I was also planning to buy something like this for my Gaming Setup but then I search on youtube and got a video where I found that you can build a motorized Monitor Life for your desk on a budget at home. It sounds interesting and that video saved my money as well as time to buy such a lift for my monitor. 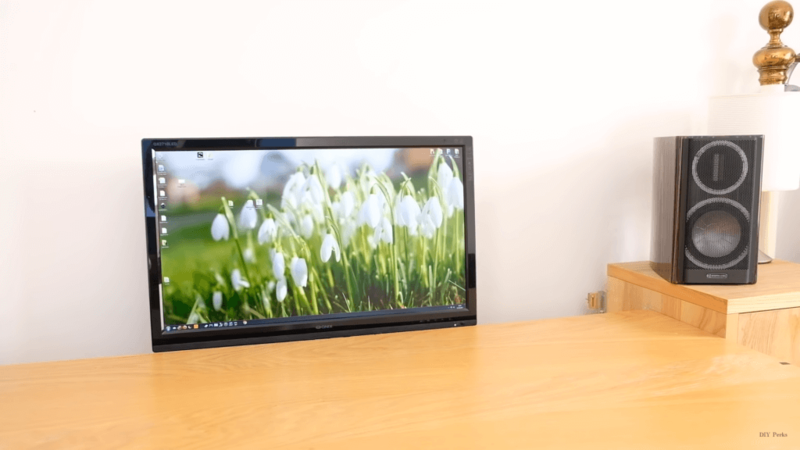 Max from DIY Perks is here to guide you on how to build your own motorized monitor lift that will make your monitors disappear from your desk and save hell lots of space that makes your desk more spacious and clean. What Will You Need to Make your Own Motorized Monitor Lift? Building a DIY Motorized monitor lift for your desk doesn’t require the expensive equipment. You basically need some motor, and brackets and some idler pulleys. You can buy all the stuff like motors & linear actuator that you need to build this DIY Motorized Monitor Lift from your local hardware store or even form online store! Trust me you can’t believe what kind of gadget you can build your own with this inexpensive equipments and materials. Well, I’m not going to explain the whole process how Max build that lift because it will not be that much understandable from just article, so instead of this, I’ve embedded his video of the DIY guide that will help you to make your own motorized monitor lift. I hope you’ll like this DIY guide, Max from DIYPerks has tons of great projects. If you have lots of time to spend and getting bored then explore this channel you’ll find some really great DIY projects that no just help in your productivity but also develop your creative skills. If you liked this post then do share it with your friends to let them know about this DIY Motorized Monitor Lift and make their day 🙂 to help them. Also stay stunned for more interesting articles on this blog. Have a great day ahead!